We have always looked after Mia’s skin but we have recently found that her skin gets very dry and patchy around her arms and on her scalp as well as small rashes that develop on her tummy and back of her neck. 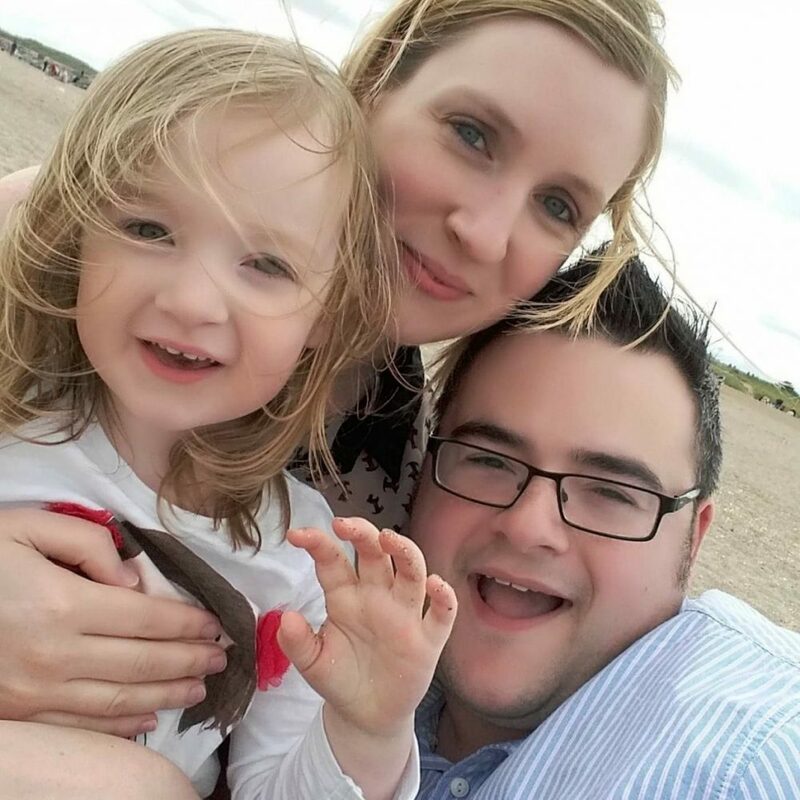 We of course took her to our local GP and she was diagnosed with eczema which, if I’m honest, I didn’t know much about other than that it causes dry, irritated skin. Eczema is a condition that can run in families and causes skin to become itchy, red, dry, and cracked. It can affect any part of the body but mostly the knees, elbows, neck, hands, cheeks, and scalp. We were prescribed for Mia some regular creams to put on her before baths, after baths and also some shampoo however we have been on the lookout for different creams and shampoos that haven’t got that ‘clinical’ feel to them and that suit Mia who isn’t keen on creams on her skin in the first place! 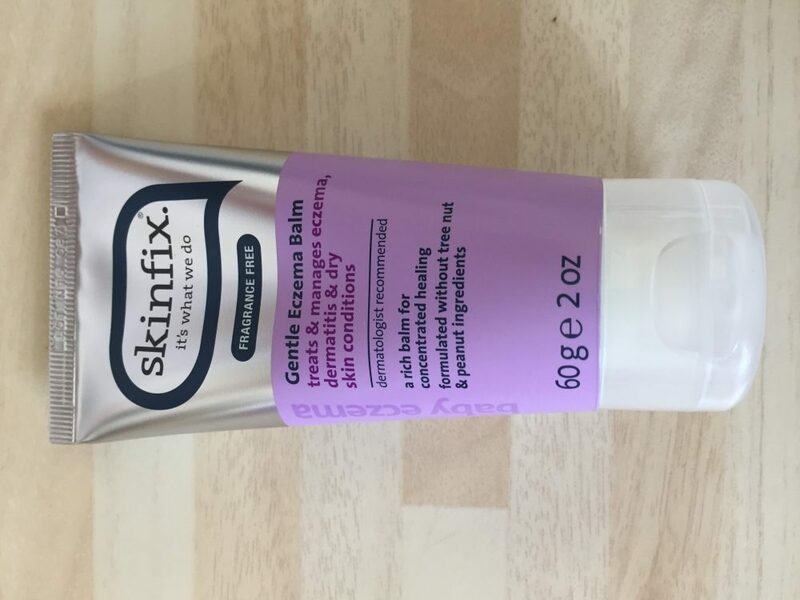 We answered a request for reviewers of a range of products aimed at children with dry and eczema prone skin and as we are fairly new in the ‘eczema scene’, I was really interested in testing out some new products! 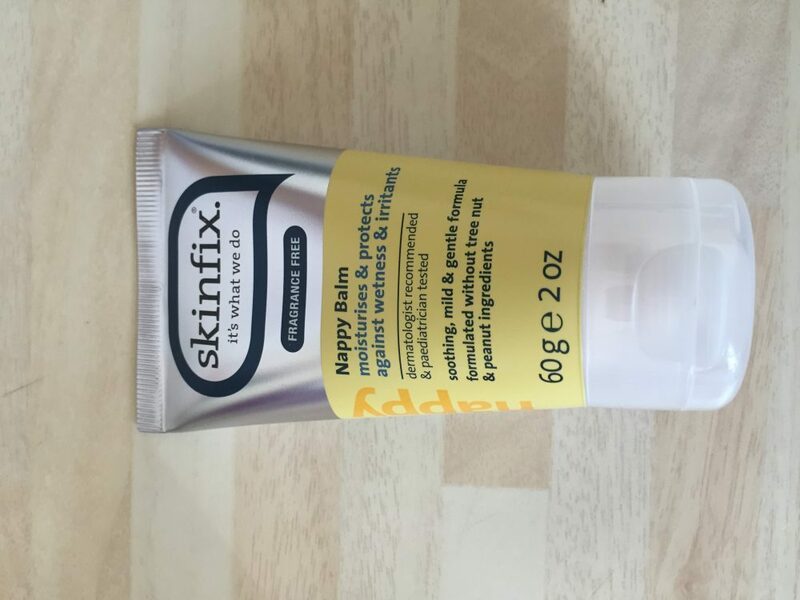 We were kindly sent a lovely hamper with products from the Skinfix Gentle Collection which included; Gentle Hair and Body Wash, Nappy Balm, Gentle Eczema Balm, and Gentle Lotion. 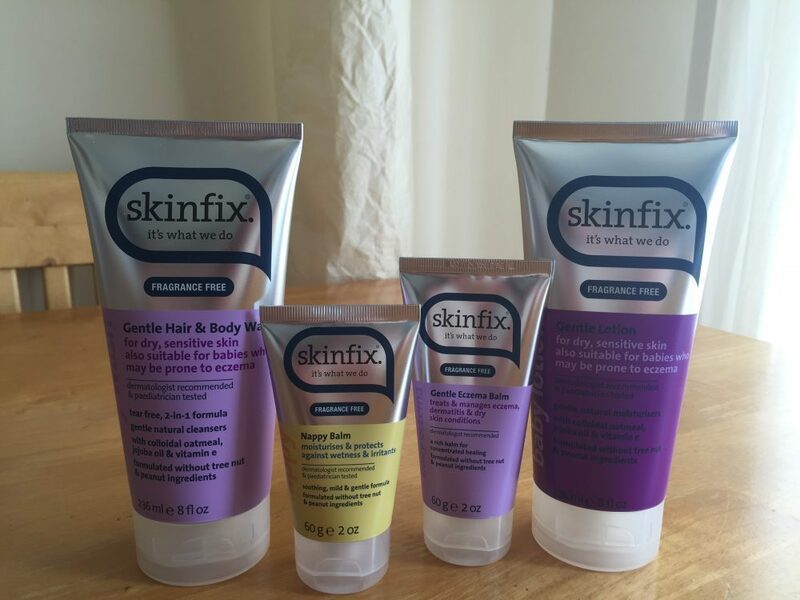 The Skinfix Gentle Collection is a range of products with specific properties. They are all made with natural ingredients, free of tree nut and peanut ingredients, free from steroids, fragrance-free, and free from parabens and phthalates. On first I was really pleased to see that the products themselves do not look ‘clinical’ at all. In fact they look so like products I would buy for myself that I’m really pleased as Mia is far happier letting me put on the creams than she usually is. I really like the bottle designs, they are eye-catching and coloured nicely so that they would stand out on a shelf. Firstly, we tried out the Gentle Hair and Body Wash. As Mia is only 3, we don’t tend to put body wash on her however her scalp is so dry it looks like she still has cradle cap and although it has been getting better with the prescribed shampoo, it’s still obvious it’s there. The Gentle Hair and Body Wash is nice and smooth, with a good consistency. Sulfate free and fragrance free, the 2-in-1 formula uses natural botanical based cleansers that are tear-free and won’t take away the skins natural moisture. Mia had a go at applying it to her hair herself and with a little help, it goes on really nicely and is easy to rinse straight off. We have seen an improvement in her dry scalp and it’s now not so obvious which is amazing! We will be continuing to use the Hair and Body Wash as a shampoo from now on and I would definitely pay the £12.99 price tag as it’s going to last a long while yet! We decided to give the Gentle Lotion a go straight away as it was bath night and normally we would have to put cream all over Mia’s body before and after her baths, a routine which Mia got bored with really quickly and in the end became a battle! The lotion is infused with natural moisturisers and soothing botanicals that absorb quickly on contact to banish dryness. It is a nice consistency, thick enough to know it’s on Mia’s skin but not so thick that it doesn’t absorb into her skin. The lotion leaves Mia’s skin moisturised and is safe for daily use. Mia has been enjoying applying the lotion herself which is great! There has been a marked improvement in her dry skin and apart from a bit on her arms still, the spotty rashes on her tummy and back of her neck are much better! At £12.99 it is quite pricey however I would definitely buy it if Mia lets me apply it better than her prescribed cream! Next we tried the Gentle Eczema Balm which is formulated to manage flare-ups and dry skin, on Mia’s slightly flaky, dry skin on the tops of her arms. The balm is meant to be used as and when you get dry patches of skin so it’s a little thicker than a cream in consistency. I really like this as you can see it absorb into the skin easily and immediately moisturises the affected area. Again Mia let us apply the balm without any issues and even had a go putting some on herself! I can see us using this £14.50 balm very regularly. Finally, we tried the Baby Nappy Balm out on Mia. The Nappy Balm is designed to protect baby’s bottom, locking out wetness and irritants that can cause rashes. The Nappy Balm creates a barrier against wetness with zinc oxide and also replenishes moisture with emollient protective oils; sunflower and jojoba. Although Mia isn’t a ‘baby’ and does not wear nappies as she has been potty trained a while now, she does still get a red bottom sometimes and I have been putting a (well-known brand of) nappy cream on for a while now. The Nappy Balm is a nice consistency, not too thick but absorbs into her bottom nicely. At £6.99 this will be replacing our current branded nappy cream for definite and we have seen an improvement in ‘redness’. 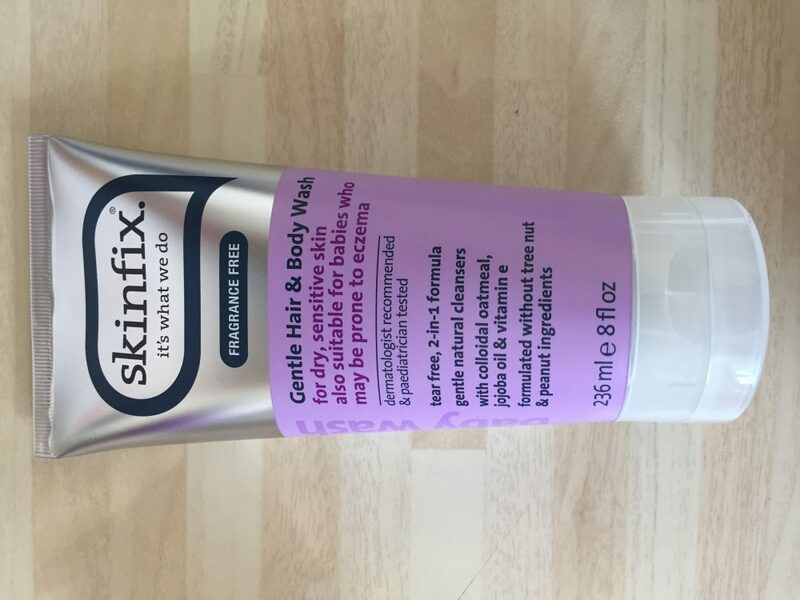 We really enjoyed the opportunity to try out some new creams on Mia’s skin and the Skinfix Gentle Collection products we tested definitely helped soothe Mia’s skin. She seems to be itching her skin far less and her skin is not as red or blotchy as it has been previously. None of the products are oily or sticky, they absorb into the skin well and it’s a bonus that they are made from natural ingredients and fragrance free. They are far less clinical than the prescribed creams and shampoo Mia has now and the fact they look more like ‘normal’ lotions is great as Mia seems far happier to allow them to be applied to her skin. As I have sensitive skin, I have started to use the Gentle Lotion myself and as someone who dislikes any kind of cream; I have to say I’m really impressed by it! I would be really interested to see if they do a bubble bath in the same range as we have struggled to find one that doesn’t dry Mia’s skin out whilst in the bath. I would recommend this collection to anyone who suffers from dry, irritated skin! Glad it’s made some improvement for her, Eczema can be horrible! I have a stubborn patch on one of my fingers (nowhere else!) so I might give the balm a go myself.